As Americans gather with friends and family to celebrate Thanksgiving, the US government's desire to create false flag attacks to start wars was quietly admitted by the mainstream media. 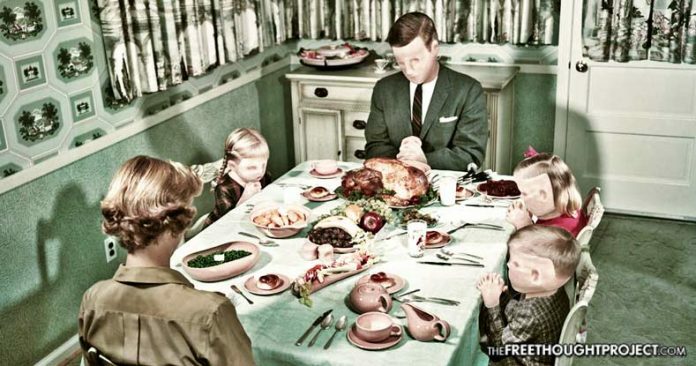 As families gather around the dinner table to feast on turkey and express what they are thankful for, dark forces within the US government are plotting their next war and thinking up a way to sell it to the American people. The idea that the United States government would deceive its citizens into accepting a war for profit — by any means necessary — was once only reserved for the fringe and widely regarded as a conspiracy theory by the establishment and their whitewashers in the mainstream media. However, all that has changed. Even the mainstream media is now reluctantly being forced to admit that the US government plans and has planned false flag attacks on America to be used as a pretext for war. In an article this week, Newsweek reported on the recently declassified files associated with John f. Kennedy that prove the US planned to stage attacks on America using a Soviet aircraft to kick off a conflict with the USSR that arguably would’ve led to the beginning of World War III. 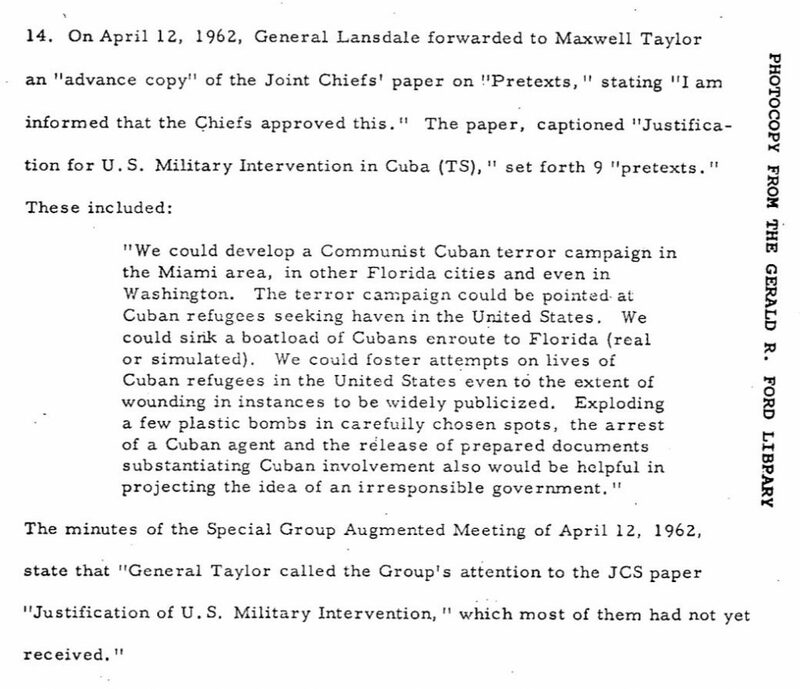 Newsweek’s report focused on the discussion from a meeting on March 22, 1962, held by the “Special Group (Augmented),” which according to an encyclopedia on the Central Intelligence Agency, included Attorney General Robert Kennedy, CIA Director John McCone, National Security Advisor McGeorge Bundy and chairman of the Joint Chiefs of Staff Lyman Lemnitzer, detailing the creation of a false flag attack on the United States to be blamed on the Soviets. As Newsweek reported, the memo shows that the department, along with the CIA, considered buying Soviet aircraft to stage the attacks, even getting estimates from the Air Force on how long it would take and how much it would cost to produce the planes domestically and covertly. Costs ranged from $3.5 million to $44 million per plane, depending on the model, most taking several months to build. False flag attacks are covert operations that make it look like an attack was carried out by another group than the group that actually carried them out. As people continue to believe the warmongering rhetoric from the state, they also continue to forget America’s history of lying to the people to get them to accept war. Indeed, the JFK files have now given us at least two incidents of the United States planning false flag attacks against its own people as a pretext to wage war. And, as the Newsweek report shows, it is getting harder for the mainstream media to ignore or otherwise ridicule and dismiss this very ominous reality. As you gather with close friends and family on this Thanksgiving, give them a gentle reminder or a well-worded wake up call on how the US government cares not about deceiving its own citizens and killing innocent people so they can send our brothers, sisters, mothers, and fathers off to other countries to die so the fat cats in DC can bolster their war portfolios on Wall Street.